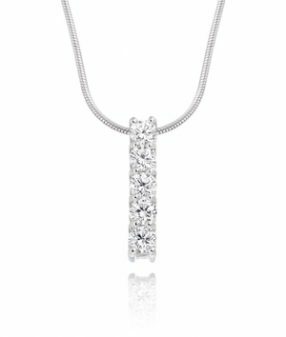 Diamond drop slide pendant. Featured with five round brilliant cut diamonds in a four claw setting. Accompanied by a sixteen inch snake style neck chain.